“Q” Is For Q-Tip (164/365 v2.0) – Annoyingly Boring? Knew well ahead of time that I was going to use Q-Tip for Q. But somehow still waited until late at night to take the shot. Oh, and don’t tell anyone but these aren’t Q-Tips. 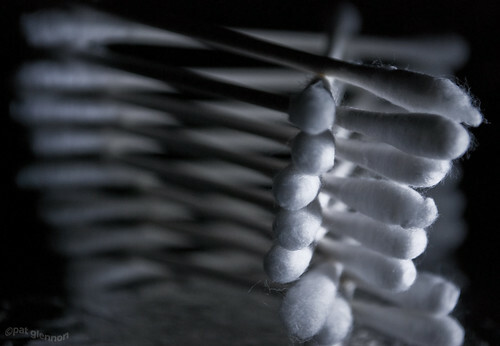 They are store brand cotton swabs. Not the real deal. Oh well, I am still calling them Q-Tips. That pic makes my ears itch…..
.-= DCUrbanDad´s last blog ..I am no prude, BUT =-. Speaking of Q-Tips, that is ONE thing daughter doesn’t want me to buy generic. Only Q-Tips wil do, apparently!